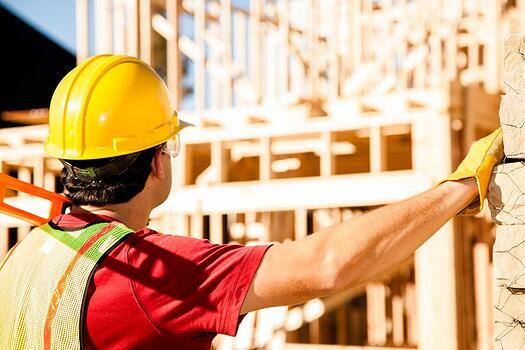 Carpenters build and repair building frameworks and structures—such as stairways, doorframes, partitions, rafters and bridge supports—made from wood and other materials. They also may install kitchen cabinets, siding and drywall. Because carpenters are involved in many types of construction, from building highways and bridges to installing kitchen cabinets, they work both indoors and outdoors. Carpenters learn their trade through a registered program that is typically cost-free to the student. Usually, a high-school diploma or equivalent is required to begin your apprenticeship and career in the trade. After the apprenticeship and based on certifications, a journeyperson carpenter (a qualified and skilled person in a trade), can earn up to $40.00 an hour. Employment of carpenters is projected to grow 6% from 2014 to 2024, about as fast as the average for all occupations. Increased levels of new homebuilding and remodeling activity will require more carpenters. Learn more about a career as a CARPENTER!